Yukimasa Yugami (Tadanobu Asano) is a detective who chases after facts in cases. He will resort to illegal investigations and he uses his unique reasoning powers. 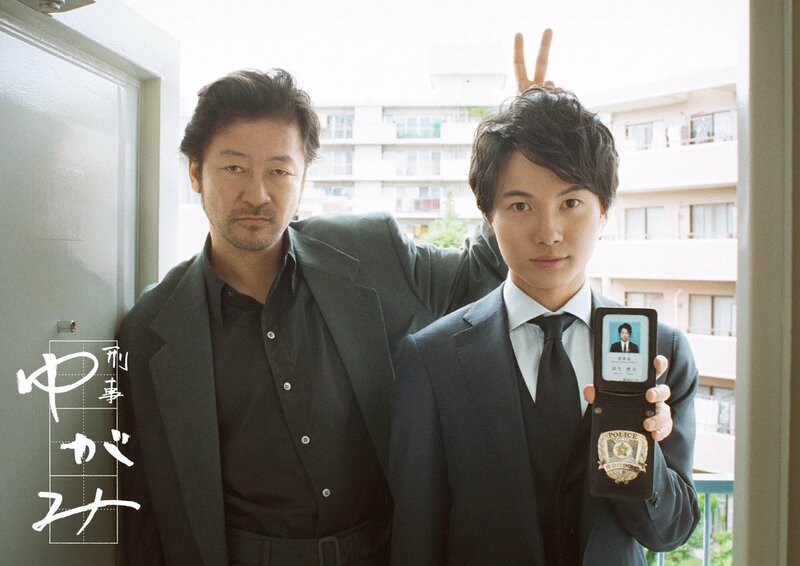 His partner is rookie detective Torao Hanyu (Ryunosuke Kamiki). Based on manga series "Keiji Yugami" by Hideo Iura (first published October 28, 2016 by Shogakukan). flambergh Jan 16 2018 8:09 am havnt finish the series but i already want season 2. i love how yugami and hanyu keep trying to blackmail each other. and yugami, i rarely love middleaged man character from crime series, but yugami's really interesting character. Melville Dec 17 2017 10:57 pm I can't believe Joe Odagiri is the main villains in the end. Its so rare to see him nowadays. Goro Oct 25 2017 8:11 am This one is awesome.. especially thr male lead's childish pranks.. laugh so hard at every scene.. nailed it guys!